In our health conscious society, more and more people are worried about what dangers might be lurking in our tap water. And, while most government studies show the majority of tap water is safe to consume, it is hardly pure. So, if you want to drink pure water but you are tired of paying premium prices for bottled, what are your options? 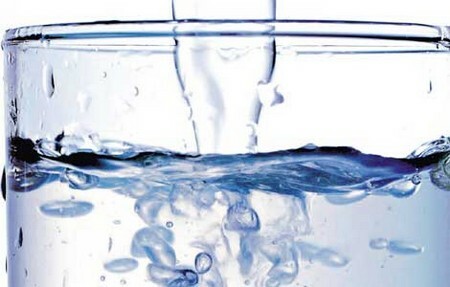 Is it possible to make your own pure drinking water? Yes. Now, if you’re lost in the jungle and you need to purify water, this method is probably not the sort of thing you’d be interested in. But, if you are living in a house and want to make the water that comes out of your faucet “pure”, then here’s what you need to do. First, find a large and clean pot. Turn on your sink’s cold-water faucet and let that run for a few minutes before placing the pot under the stream and filling it to two inches of the top with cold water. Then put the pot on the stove and heat it on high until the water starts to boil. Bring the water to a full boil and continue for at least a full minute. Then remove the pot from the heat and let it sit to cool. While it’s cooling, locate a clean container such as a water jug or a pitcher. Make sure that your container can handle the cold. Next, pour the cooled water into the container and then seal it. Then place the container in the freezer. Leave the container in the freezer long enough to chill. After the steps above, you have pure water that is clear, cold, and ready to drink.